The volatile situation in the Valley has prompted the security forces to experiment with a variety of weapons. There are the PAVA shells packed with chilli, the rubber bullets that ricochet, the hugely damaging pellet guns and now plastic bullets. 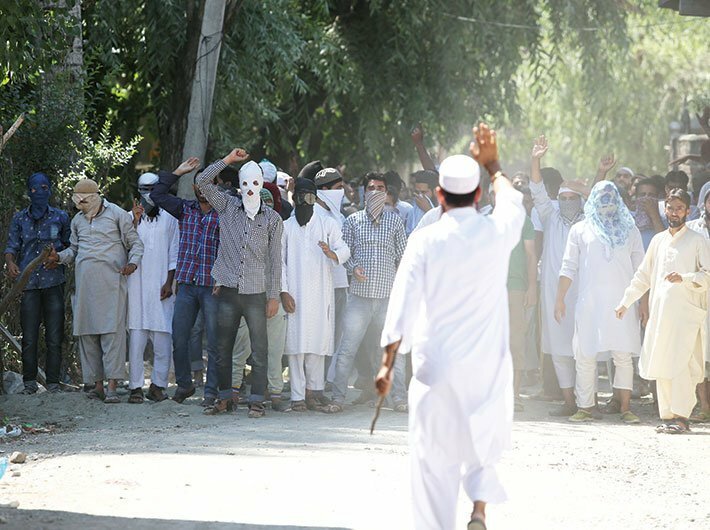 The stone pelters, however, continue to be undeterred. Here is the low-down on what the security forces have to control the situation in the Valley. The PAVA shells, which is an acronym for Pelargonic Acid Vanillyl Amide, is an organic compound found in natural chilli pepper. It is is capable of incapacitating the targets for several minutes. It is completely odourless and does not damage clothes or skin. The rubber bullets are rubber or rubber-coated projectiles that can be fired from either standard firearms or dedicated riot guns. They are intended to be a non-lethal alternative to metal projectiles. They are used in riot control. Pellets guns cause injury to people. Many protesters have suffered serious eye injuries due to its use. They are effective over short ranges up to 500 yards. Pellets can penetrate soft tissues. The plastic bullet is a comparatively less-lethal projectile fired from a specialised gun. They are generally used for riot control. Plastic bullets were invented in 1973 by the British security forces.